Anyways, 2 Figma’s came plus 1 Game. 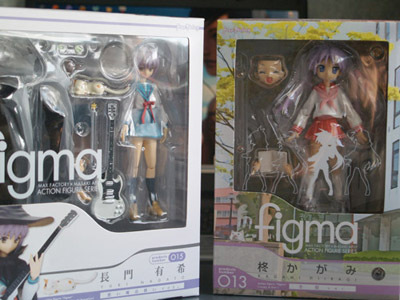 Figma’s are ‘Nagato Yuki – Witch Version’ and ‘Hiiragi Kagami – Winter Fuku’. 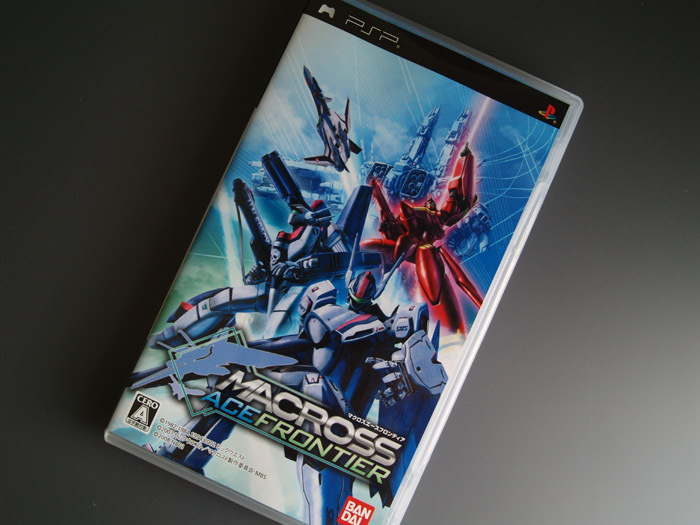 The game is Macross Ace Frontier, because I do game and I like Macross. 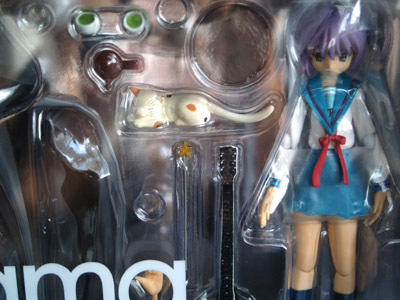 Both of the Figma’s look nice, may just hand over Hiiragi to my brother who already have Hiiragi Tsukasa. If he wants it, I give. They’re both still boxed and I don’t know If I should open them, I don’t have anywhere to place them as ornaments. People who get Figma’s and figures, how do you showcase your collection? Other then staring at Figma’s I’ve been gaming on my PSP, haven’t done so for a while now. The game is a Mecha game based on Macross. Planes that transforms into mid and humanoid modes called “Gerwalk”, “Batteroid”. You know Macross as Robotech which is more poorer than the Japanese counterpart (as I heard). The game is very nice, I had to change the controls to Custom as I’m used to the Analog stick to move around. The reason is because I play Monster Hunter and I don’t want to get confused with the controls swapping. 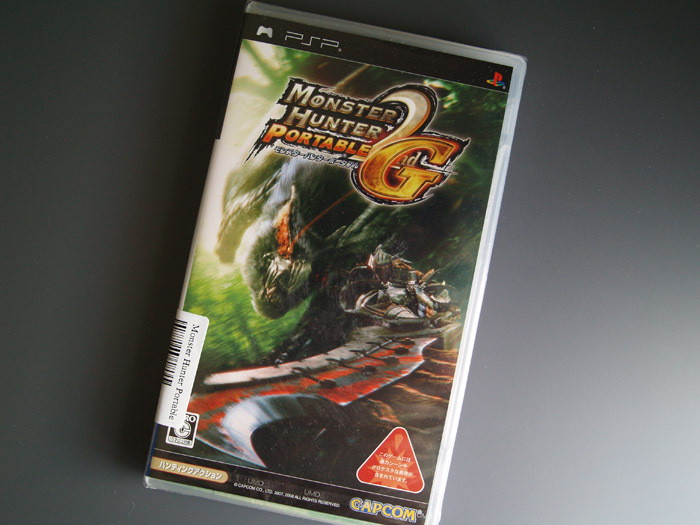 Speaking of Monster Hunter, I haven’t posted about “Monster Hunter Portable 2nd G” purchase. I am one of those people who imported the Japanese game which then I noticed that Capcom US has announced the release of the game known as “Monster Hunter Freedom Unite”. Some one told me that Capcom US is not considering taking on Monster Hunter Portable 2nd G, it was written by Capcom. No release of 2nd G in English made me get the Japanese version for nought? Next Bloggings I would write about Bumblebee Camaro toy that I’ve tried to mod and a book purchase Death Note – Another Note.